HMD Global, the owners of the Nokia brand, have announced three new Android devices: the Nokia 2.1, Nokia 3.1 and the Nokia 5.1. The Nokia 2.1, the most affordable among them, features a 4,000mAh battery, a 5.5-inch HD display with a Snapdragon 425 processor, 2GB of RAM and 8GB of expandable storage. Further, it sports a 8-megapixel rear-camera with a 5-megapixel selfie shooter and stereo front facing speakers. It runs Android Oreo GO and will be available at $115 USD, in select markets — Canada not being one. The Nokia 3.1 uses a 5.2 display with an 18:9 aspect ratio and octa-core Mediatek processor. One variant features 2GB of RAM and 16GB storage while another ups it with 3GB of RAM and 32GB of storage. On the back of the phone there’s a 13-megapixel sensor, while on the front the device uses an 8-megapixel sensor. The phone will be available starting at €139 ($208 CAD). Lastly, the Nokia 5.1 features a 5.5-inch an 18:9 aspect ratio with a 443 pixel-per-inch screen. The sensor has moved to the rear and features a Mediatek processor with the same RAM and storage configurations as the Nokia 3.1. On the front, the handset uses an 8-megapixel wide angle lens and on the rear it uses a 16-megapixel shooter. The phone is available for €189 ($283.90 CAD). 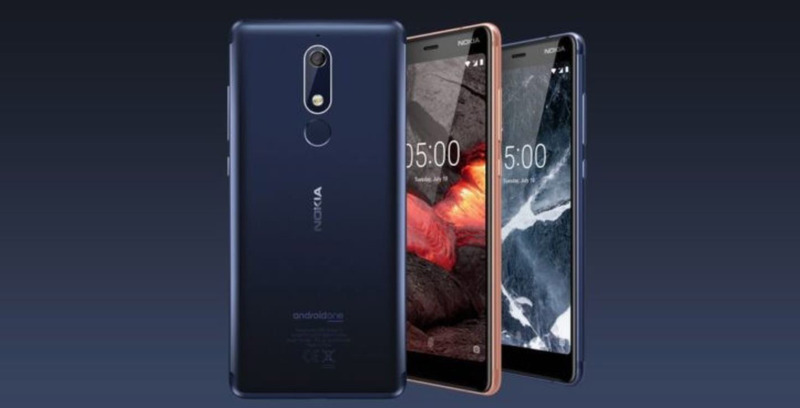 Neither the 3.1 or the 5.1 will be officially available in Canada, however, the previous Nokia 3 and the Nokia 5 are available at Canada Computers, so it’s possible these devices will be as well. Like many other Nokia handsets, these devices will all receive the Android P update.